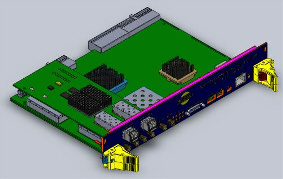 Mechanical Design | SoleNet, Inc. | Electronic Services, Board Design, FPGA Design, RF Design, Mechanical Design, Embedded Software, System Analysis. Sheet Metal Parts and assemblies. We also have the capability to create eDrawings, which are accurate representations of the 2D and 3D models that can be used to view, mark up, and measure without having to purchase markup tools. SoleNet's mechanical engineers specialize in SolidWorks, but are experienced with other mechanical CAD tools such as SolidEdge and ProE.